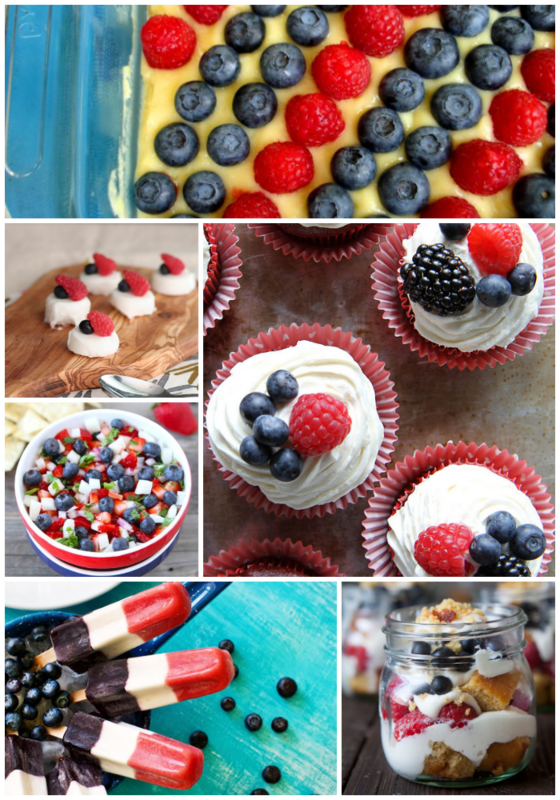 With the Fourth of July quickly approaching, I thought I'd do a roundup of some recipes that I've recently found on Pinterest that can make your holiday parties fun, without all those extra calories. It's hard enough sticking to a healthy diet as it is, without the added holiday-themed foods tempting you. 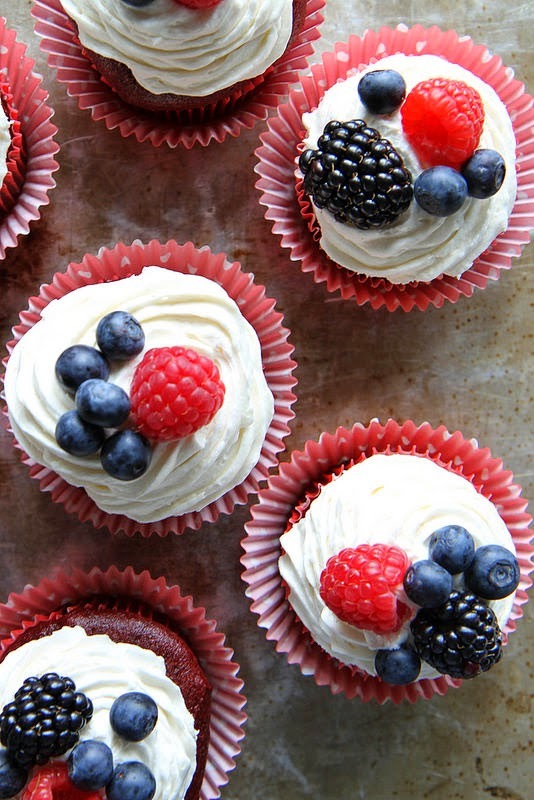 But this Fourth of July, opt for one of these desserts or snacks instead of gluten-packed, sugar-loaded, high-calorie foods. Lemon Fruit Tart by Paleomg This is a healthy twist on a lemon tart/cheesecake. 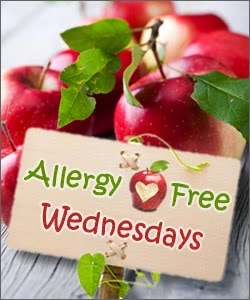 It still includes honey in the recipe, so it will curb that sweet-tooth, but without any refined sugar. And it just looks so yummy and festive. 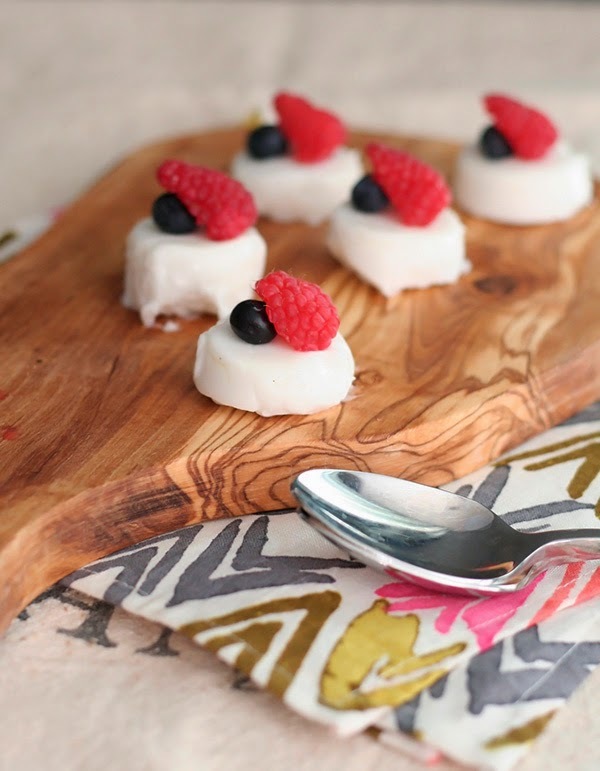 Coconut Pudding by Frock Files A vegan and gluten-free take on Hawaiian haupia (pudding or panna cotta), this recipe is perfect for hot, summer days. 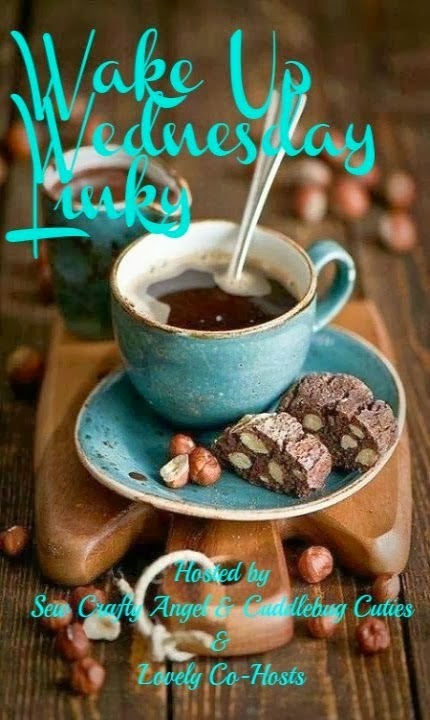 It's cool, creamy, festive and even though it has a little added sugar, it's still on the healthier side. 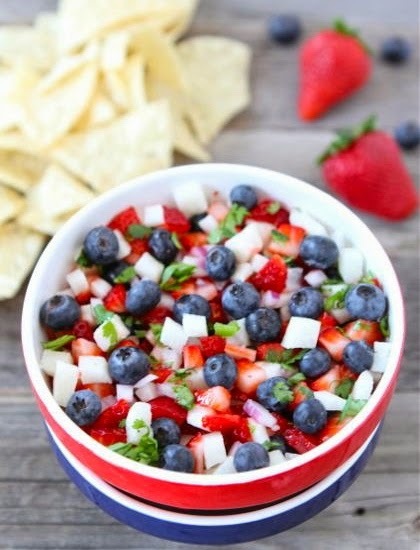 Blueberry, Strawberry, and Jicama Salsa by Winning Without Gluten This would be a perfect salsa to take with you to a Fourth of July party. I know strawberries and blueberries aren't exactly the typical idea of what salsa is, but it's the healthier version, and very festive. Be sure to grab a bag of gluten-free tortilla chips to go with it. Berry Bliss Rocket Pops by Family Fresh Cooking It wouldn't be summer or the Fourth of July without a frozen treat, and these popsicles are nothing short of that. 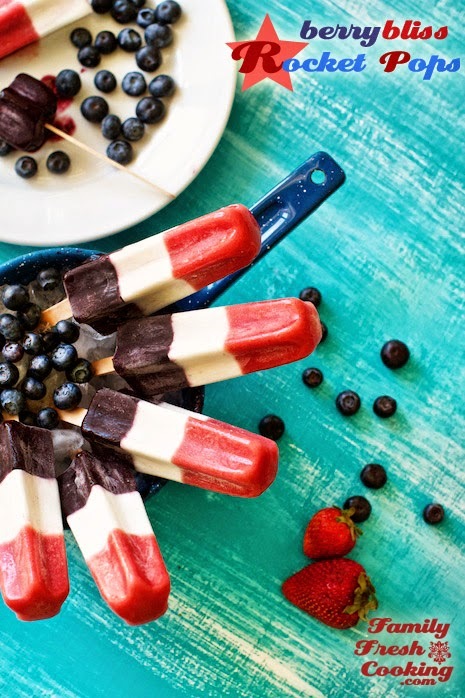 Made with fresh (or frozen) berries and either Greek yogurt or coconut milk, these simple treats are much healthier than sugar-packed traditional popsicles. And a Fourth of July party wouldn't be complete without a frozen drink! 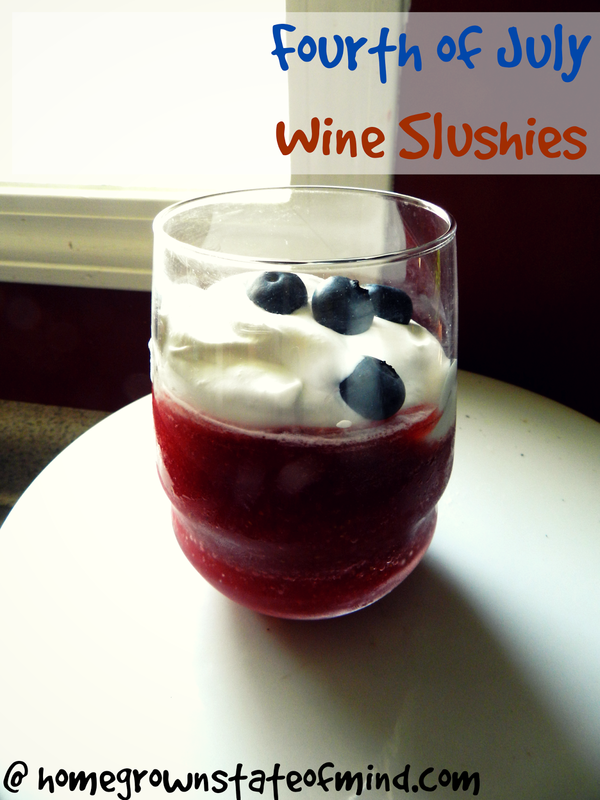 Have you checked out my Fourth of July Wine Slushies? 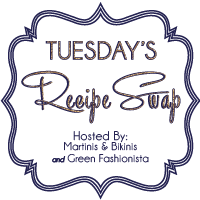 Don't forget that I have a $50 Crystal Faye Giveaway going on right now in honor of my one-month blogiversary. Enter now! It runs until July 9th. 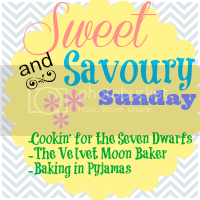 Love all the festive dessert! 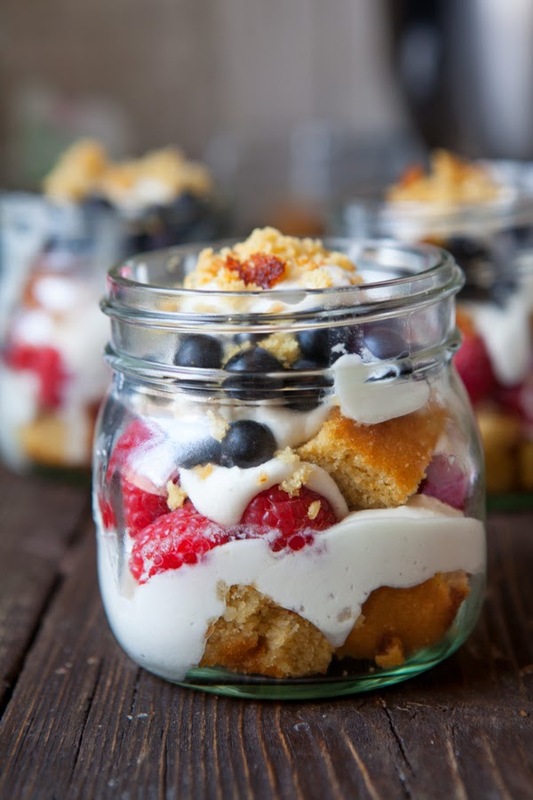 I'm planning on making a berry trifle for our 4th July party! The rocket pops look so good! Love the blueberry salsa, so festive. Cute ideas. You're right, it's SO difficult to stick to a diet around the holidays. These are some great healthier options. I'd LOVE to make those rocket pops and of course those wine slushed. Thanks for sharing at DDT!